Spread over 9.58 Sq.kms., this sanctuary can be reached through Topslip in Anamalai Hills on the Western Ghats. An Ecological Paradise, this sanctuary encompasses a National Park with an Orea of 108 Sq.km. Abutting Kerala on the West, this hill forest boasts of thick growth of trees, folds of terrains with evergreen sholas. About 800 species of South Indian flora are distributed here. 1. Combretum Ovalifolium, 2. Dispyros nilagrica, 3. Gymnopteris Contaimirans (Fern), 4. Habebarai reriflora (Orchid), 5. Polypodum pleroupus, 6. Alsophila sp, 7. Bulbophyllum sp., 8. Lasianthus uenuloses, 9. Angiopterris Erectra, 10. Gnetum Ula, 11. Impaliens Elegans, 12. Lycopodium cernum, 13. Ranunculus reniformis and Osmunda Regulis. 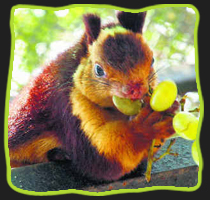 This sanctuary nurtures Arboreal animals like lion tailed macaque, bonnet macaque, Common Langur, Nilgiris Langur, Malabar Giant squirrel and Grizzled giant Squirrel. The ground animals listed are: Tiger, Panther, Elephant, Gaur, Pangolin, Sambar, Spotted Deer, Barking Deer, Mouse Deer, Wild Boar, Dhole, Sloth Bear, Porcupine, Nilgiris Tahr, Civet Cat and Toddy Cat. The Avifauna includes Racket Tailed Drongo, Black Headed Oriole, Paradise Flycatcher, Whistling Thrust, Emerald Dove, Green Pigeon, Tickell's Flower Pecker, Rufus Wood Pecker, Rose Ringed Parakeet, Black Eagle, Great Indian Malabar pied Horn Bill, Fiary Blue Bird and green Billed Malkhoha etc. Other Eco - Centers : Equally enticing in the sanctuary are Monkey Falls at Aliyar, Crocodile breeding centre at Amaravathi, Gran Hills, Attakatti, Nirar, Kullipatti, Manompally, Chinnar, Thirumoorthy, Varagaliyar and Manjampathy. Trekking sheds available at Manjapally and Varagaliyar. While a wild life interpretation Centre is at Aliyar, a medicinal plant interpretation Centre is at Topslip. This sanctuary is located where the Nilgiri Hills, the offshoot of the Western ghats meet the eastern ghats. 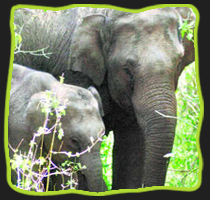 The Mudumalai wildlife sanctuary has varied mixture of flat land, undulating parkland, open grassland, swamp, valleys and nullas. The Moyyar river in this region forms a series of spectacular cascades on its way. 65 Kms. away from Udhagamandalam and situated along the Udhaga-mandalam- Mysore highway, this sanctuary could be reached from Mysore as well. This 321 Sq.km. wide sanctuary encompasses a National Park spread in an area of 103 sq.kms. The vegetation is varied with moist deciduous. It becomes dry deciduous towards Bandhipur, mainly mixed forests with Bamboss (Bambusa arundinacea), Terminalia tomontosa, Grewia, and blooming trees like Indian labumusum.Aredesia, Solanahncea are some of the flora. The fauna include Elephants, Gaur, Bonnet Macaque, Common langur, tigers and leopards, Chital, dhole panther, Sloth Bear, Python, barking deer, Four- Horned Antelope, Otter, Crocodiles (mugger), Giant flying squirrel, Sambar, Hyena, Wild Dog, Wild Boar, Mouse Deer, Spotted Deer, Jackal, Hare, Parcupine and Mongoose. The Birds in this sanctuary are Peacock - India's National bird, grey jungle fowl, the red spur fowl, the grey patridge quails, goggle eyed plower, Malabar whistling thrust, large racket-tailed dronge, the shama, the magpie-robin, spotted babbler, small green barbet, green pigeons, little brown dove, malabar grey hornbill, bulbuls, mynahs, etc. Birds of prey like eagles, hawks, falcons and king vulture and some migratory water birds can be watched. From Udhagamandalam you can (Base camp at Parson's Valley) trek to this sanctuary and the mukkurthi Park.. Located on the high altitude of the Nilgiris, comprising rolling downs interspersed with temperate sholas, this park of Nilgiri Bio- sphere reserve is situated 40 kms. from Udhagamandalam. It contains a viable population of Nilgiri Thar (Hamitragus - hilocrius), Sambar, Barking deer, Nilgiri marten and otter jungle cat, jackal, etc. Avifauna consists of hillbirds viz. Laughing and whistling thrushes, woodcock, wild pigeon and black eagle, Butterflies with Himalayan affinity like the Blue Admiral, Indian Red Admiral, Indian Fritillary, Indian Cabbage white, Hedge blues and rainbow trouts can also be seen. Trekking routes exist from Parson valley, Pykara etc. Trout fishing is recommended in the rivers and lakes of Mukurthi. Permission from Asst. director, Fisheries Department, Udhagai, must be obtained in advance for fishing. Kalakkadu and Mundanthurai Sancturies are situated in an extensive preserve as "tiger project Reserve". 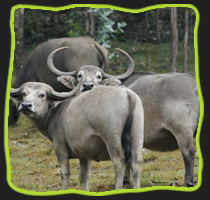 This Wild life Sanctuary is situated in an area of 233 Sq.km. in Tirunelveli District, including the foothills of western Ghats and the adjoining area. The flora ranges from forests of tropical wet ever-green to tropical dry deciduous and thorn forest at down hills. Lion tailed Macaque, Nilgiri tahr, Sambar, Sloth bear, Gaur, Elephant, Tiger, Flying Squirrel, Panther, wild dog, Pangoline are some of the wild life seen in the sanctuary. Besides, a wide range of birds and reptiles could be seen. Trekking can be done with prior permission from the Forest (Wildlife) Department.. Sprawling on 17.26 sq.km surrounded by sea and shore, comprising forests of tidal swamps, dry evergreen forests and mangroves, this sanctuary is situated in Nagapattinam district. It is bestowed with populations of varied wild life such as Chital, Wild boar, Bannet macaque, Black Buck, Flamingoes, Teals, Gulls, Terns, Plovers, and Stilts. 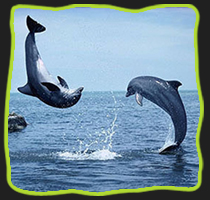 Special attractions are close encounters with Dolphins and Turtles which often come quite close to the shore. Located in Virudhunagar District, 45 Kms. off Virudhunagar Town, this sanctuary has a composition of dry deciduous forests, moist mixed deciduous forests and grass lands. Grizzled Giant Squirrels are aplenty. Other interesting species are flying squirrel, Tree Shrew, Elephant, Lion- tailed Macaque, Nilgiri Tahar, Mouse Deer, Barking Deer, and many a species of birds. This sanctuary can be visited all through the year. The smallest National Park of the country situated in the Chennai Metropolitan City arguably is the only National Park set amidst a metro in India. Acting as a lung to Chennai, this National Park boasts of dry evergreen scrubs and thorn forests with a composition of animals viz. Black Buck, Chital, Jackal, Pangolin and a variety of Avi fauna. This could be visited through out the year. Other Details: 1. Annual Rainfall: 1200mm; 2. Access: Chennai; 3. Other Facilities: This national park encompasses a Snake Park and a Children's park as well; 4. Authority: The Wildlife Warden, DMS Compound, Anna salai, Chennai-600 006. Phone No. : 044-432 1471. A scrub forest area spread over 16.41 sq.km. this sanctuary is situated in Thuthukudi (Tuticorin) District. Blackbuck, Spotted deer, Macaques, jungle cat, Mangoose and hares are aplenty. This sanctuary can be visited throughout the year. 1. Annual Rainfall: 758 mm, 2. Nearest Airport: Madurai: 165 Kms, 3. Nearest Rly. Stn. : Tirunelveli 20 kms; 4. Accommodation: Hotels at Tirunelveli; 5. Authority: The District Forest Officer, Tirunelveli Division, Kokirakulam, Tirunelveli - 627 009. A grove of Barringatonia and Acacia nilotica trees in a tank from part of the sanctuary. In additional dry evergreen scrub and thorn forests can also be seen. Both these sanctuaries are situated in Kancheepuram district and sprawling in 30-ha and 61-ha area respectively. Vedanthangal is the oldest birds sanctuary in the country. The Villagers had documented their right to protect the winged visitors to this sanctuary. The migrating birds come from far-off lands like Siberia, Australia, Pakistan and Sri Lanka for nesting and breeding. This man-made Zoological Park situated on the outskirts of Chennai Metropolitan was created out of the Reserved Forests of Vandalur. The forests are of dry deciduous and dry evergreen scrub type. It was in the year 1855 the first Zoo in India was established in Chennai; later in 1979 shifted to this 510 Ha. Sprawling complex. This Zoological park is said to be one of the biggest in South East Asia. The wild life population are exhibited in a large open moated island type enclosures with simulated natural environment. More than 170 species of Mammals, Aviaries and reptiles are exhibited. 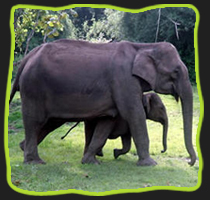 Lion safari vehicle, Elephant Ride, Battery operated vehicles are some of the facilities available inside this park. This park has a rainfall of about 1400mm average. Nearest airport is Chennai (18 kms); nearest Railway station is Vandalur (1 km.) and has a city bus terminal. This Zoological Park could be visited throughout the year. Authority: The Director, Arignar Anna Zoological Park, Vandalur, Chennai.Ph. : 044-402089. This small town, situated south of Trichy, is bestowed with a large number of wild peacocks, which roam around the Murugan temple situated here. This is a marine bio Sphere, running along the coasts of Ramanathapuram and Tuthukudi (Tuticorin) Districts. The entire Gulf of Mannar abounds in distinguished marine life covering, 21 Islands and 623 ha. This National Park is full of coral reefs, Dugong, Turtles, Dolphins and Balano-glossus. Kurasadai Islands, off mandapam, Boasts of a vast expanse of shallow waters. The presence of coral reef, flora and fauna here are in their virgin form. Dolphins could create euphoria to the tourists. Other details: 1. Annual Rainfall: 900 mm; 2. Air port: Madurai- 150 kms; 3. Rain: Mandapam/ Toothukudi; 4. Accommodation: Hotel at Mandapam: 5. Other facilities; Boats available; 6. Authority: The Wild Life Warden, Gulf of Mannar, Marine National Park, 76/1. Madurai Road, Mandapam, Ramanathapuram District - 623 50. There is nothing differentiate this santuary from that of Kalakkadu, except the absence of the Elephant and the gaur. Situated in Tirunelveli district, this 567 Sq.Km. sanctuary boasts of dry deciduous to tropical wet evergreen forests patches of pure reeds. Animals wealth includes Tiger, Bonnet Macaque, Langurs, Slender Loris, Sloth Bear, Sambar, Chital and wild dog. 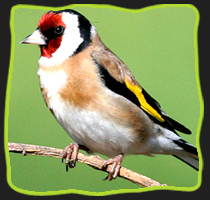 Excellent for various species of avi-fauna and varieties of reptiles and insects. Trekking with prior permission from the Forest (wildlife) Department, can be undertaken.